Hey! Did everyone have a lovely apocalypse? This weblog has been neglected for far too long. Well, I have an excuse. If you've been keeping up with me on Twitter, you'll know that I went back to school. Well, not that same school I didn't like from a million years ago. A different school here up north. I'm studying Video Game Art. I wanted to update much earlier to share some of the projects I had completed, but this program is so insanely busy and there was so much work to do that I just didn't feel up to blogging. Now that the first semester is finished I feel like I can finally step back into the world of Internet. So, now I'm going to share a few of the projects from earlier in the year. Keep in mind this program basically lets in anyone, so not every student has experience with digital art or with any kind of drawing at all. Thus the early lessons covered fairly basic stuff, and the projects were set up just to make sure everyone could follow instructions. That said, everything I'm showing here is an A+. Not that I'm bragging or anything. This was the first project. Not very impressive, I know. It was just an exercise to get people used to operating Photoshop. We had to draw something, add some text, and include a video game related image. 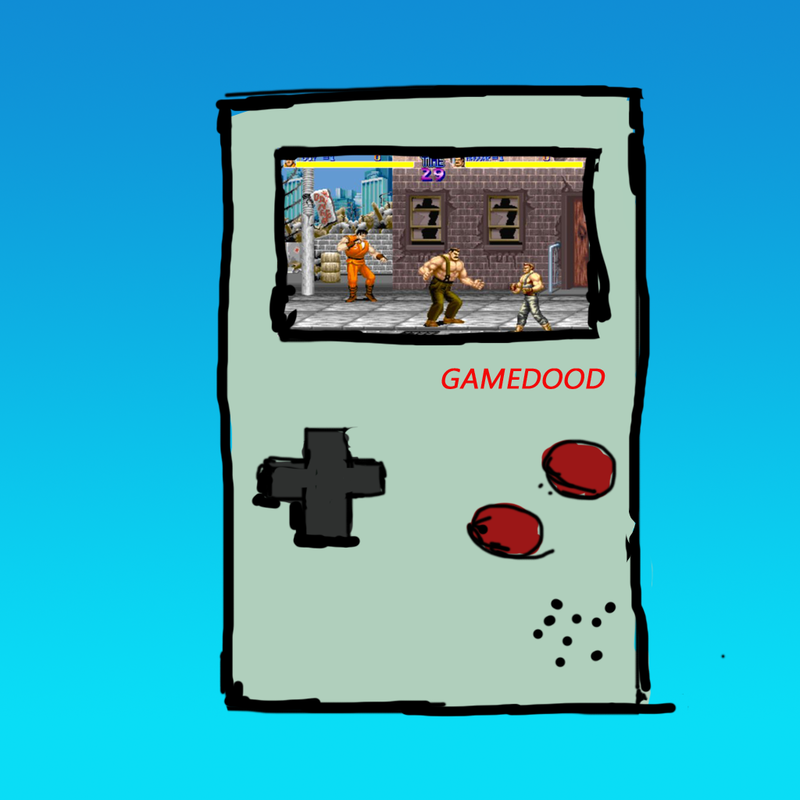 So I made this pseudo-Game Boy thing. The image is from Final Fight, one of my all time favorite games. My tablet wasn't cooperating very well with the computer at school so the lines turned out kind of weird. I just went with it and got it done. 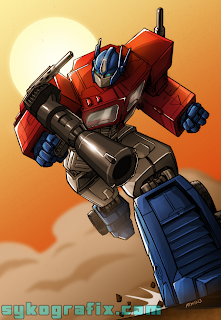 The next project was to find some line art of a video game or comic book character and color it, so I was right in my element. The original drawing of Optimus Prime is by comic book artist Robert Atkins. We had to create some kind of fantasy landscape in Photoshop using filters, layer styles, and blending modes while including a found image. I created this hellish river of lava. The monstrous skull at the top of the mountain is from a dog. 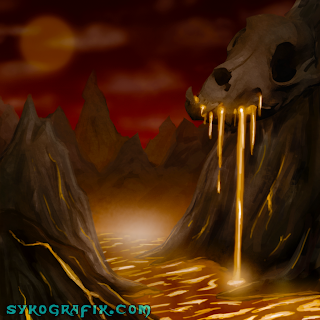 Here the assignment was to create a fantasy landscape using custom brushes of our own creation. 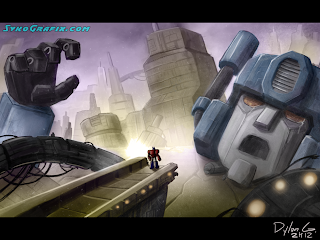 I made this painting inspired by some concept art from the Transformers War for Cybertron video game. I actually had to do this one twice, as my computer decided to reset for no reason in the middle of a save, ruining the entire file. I was very angry! Thankfully, I upgraded to a new computer shortly thereafter. After all of that, we moved into working in 3D using 3D Studio Max. I was pretty familiar with much of the Photoshop stuff that was being taught, but for 3D, this is pretty much all new to me. 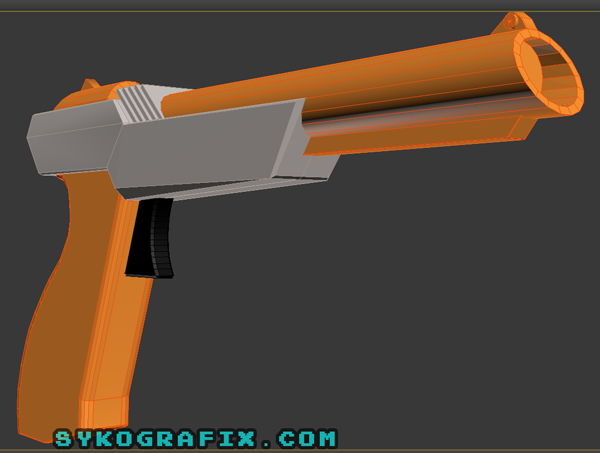 We had to model a weapon or object, and so this is what I made. 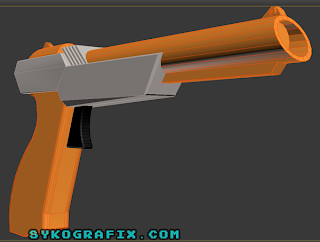 It's the NES Zapper gun! This was pretty challenging but I learned a lot and the result is pretty accurate to the real thing. It has been a very busy couple of months for me, but very productive too. Sometimes it might even be fun. This post is contains but a sample of all the stuff I had to do. I'll do another post with some more school projects later. In other news, I guess Christmas is still a thing.